Love this living room by Massucco Warner Miller design firm. 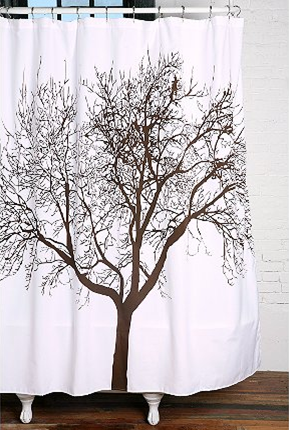 The art above the sofa reminded me of this shower curtain from Urban Outfitters. I think you could get the same look by framing this shower curtain in a large Ikea frame, or mounting it to an art canvas with a staple gun. Easy and cheap art! Great idea! I have been looking for some cheap canvas art and this just might be the solution. We have super high ceilings and tall walls so have been searching all over for ideas on how to decorate them.